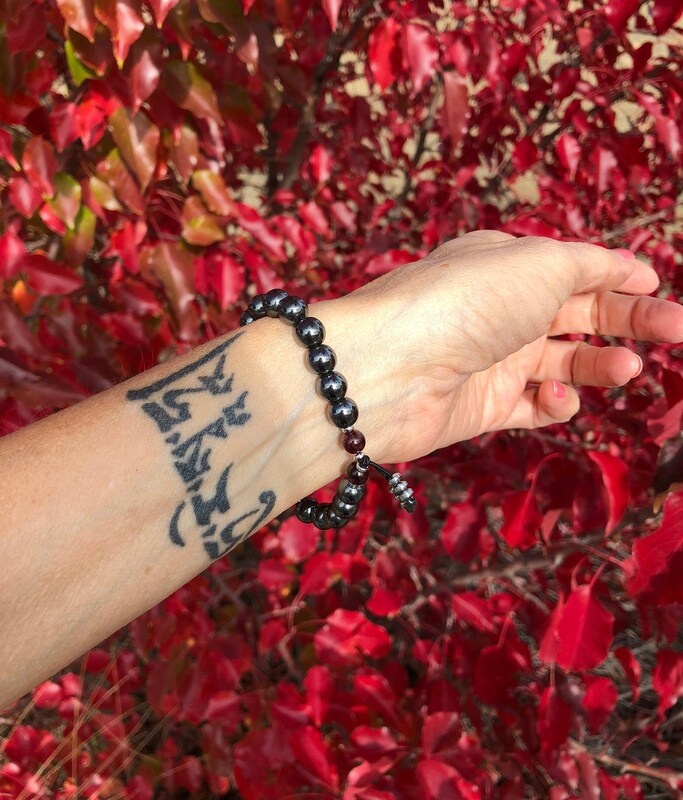 The Women’s Pain Relief Bracelet features dark silver-gray Hematite crystals along with luxury red Garnet gemstones to help ease physical and emotional pain, and to make you feel grounded and safe. Hematite has strong grounding properties that can help make you feel safe and secure in the world. It stimulates the mind, boosts confidence, and is excellent for pain relief. Hematite also helps overcome addictions and overindulgence. It balances the body's electromagnetic field to a stable equilibrium between the ethereal nervous system and the physical nervous system, thus creating a calm, peaceful state of Being. 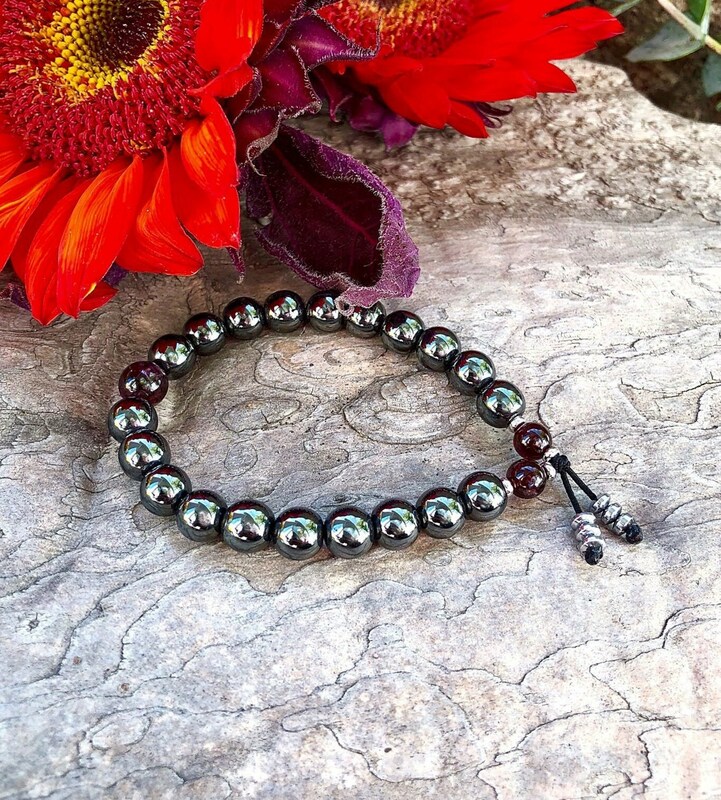 Hematite quickly dissolves negativity and prevents you from absorbing the negativity of others. *Last bracelet stack photo features three Hematite Bracelets, two Red Tigers Eye Growth and Expansion Bracelets and a Picasso Jasper Worthy Bracelet (each sold separately). This listing is for one Hematite Pain Relief Bracelet only.